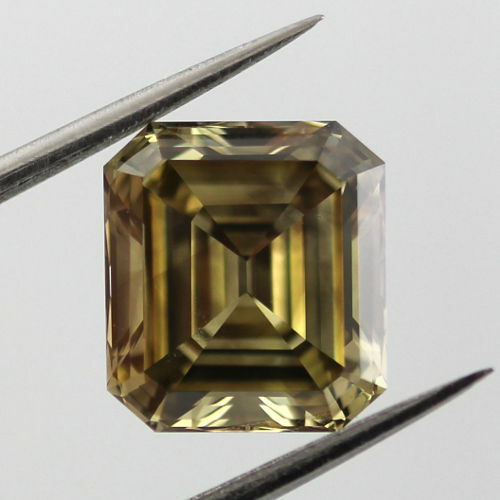 Emerald cut fancy dark gray greenish yellow diamond. Step cut diamonds like emeralds and asscher cut are designed to draw the eye into the center of the diamond and this colored diamond is simply hypnotizing. Good si1 clarity grade and overwhelming size of over 3 carats. A very special diamond.